Objects, furniture, accessories, lighting, textile and interior design from more than 190 domestic and international cutting-edge contributors — from large-scale producers to single designers — are soon to be launched, exhibited, sold and auctioned on 36 different locations across Oslo city centre. Yes, bubba, Designers Saturday is about to go down. 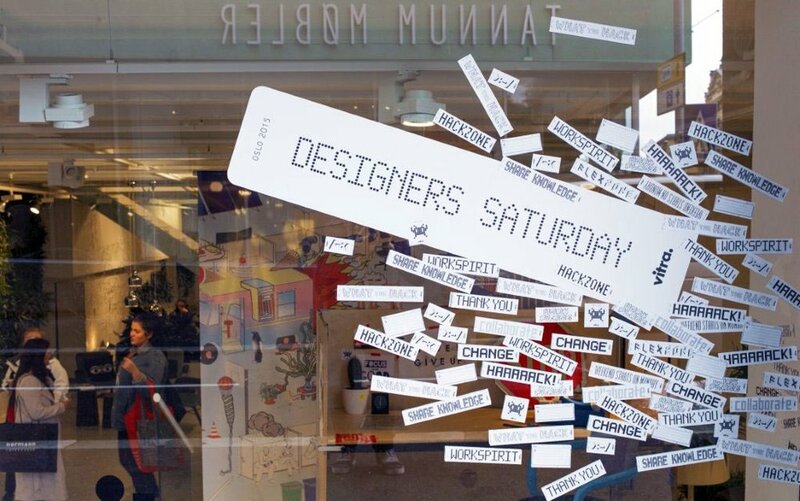 Aiming to be an inspiration trigger and conveying knowledge within the field of Design, Designers Saturday has been an annual event in the Norwegian capitol ever since 1986—which itself is a considerable achievement. This is their 30th anniversary. This year’s shebang kicks off on Friday September 8th with an award ceremony for Best Interior and Best Talents at SALT Arena. On Saturday 9th, the showrooms and a Saturday Nigh Street Party opens for industry associated attendees, while on Sunday 10th all showrooms are open to the general public. This is also the day for the Unika auction, a new event showcasing and auctioning rare prototypes, sketches and one-offs from both well established and new designers from the period 1945–2017. To help attendees tackle the vastness of the occasion, free hop-on-hop-off busses are scheduled for every ten minutes, smoothly accompanied by an online map with a practical overview of everything happening. Want to attend? Remember to register!